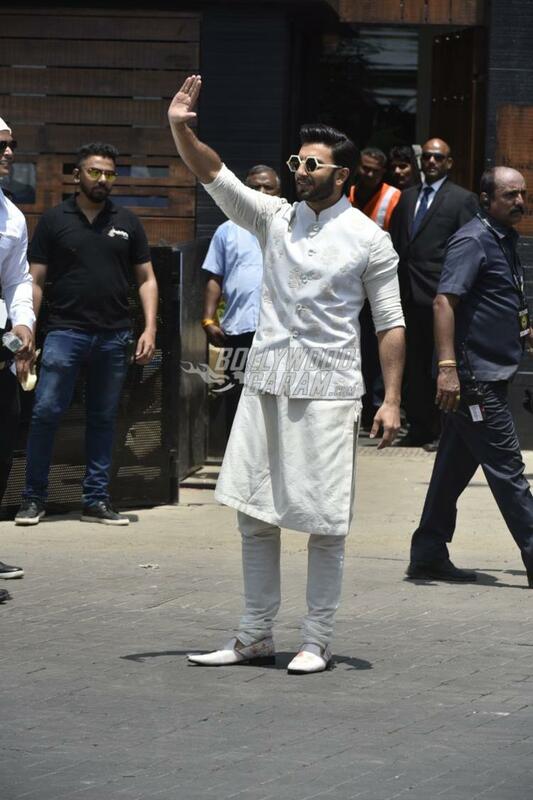 Celebrities Kept pouring in at Sonam Kapoor and Anand Ahuja’s wedding ceremony at Rockdale in Mumbai on May 8, 2018. The internet is flooded with the pictures of the newly -weds Anand and Sonam who have made a gorgeous couple. 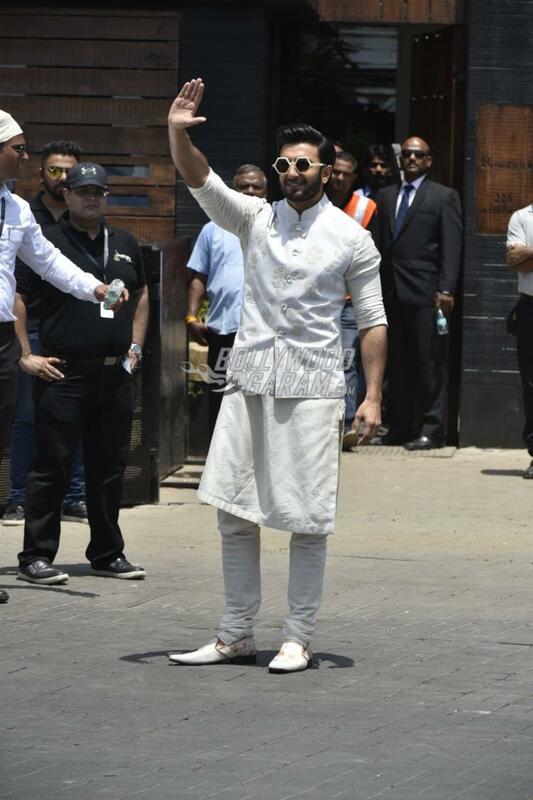 Apart from other celebrities Amitabh Bachchan, Ranveer Singh, Aamir Khan, Kiran Rao and Siddhanth Kapoor were snapped attending the wedding ceremony in Mumbai. 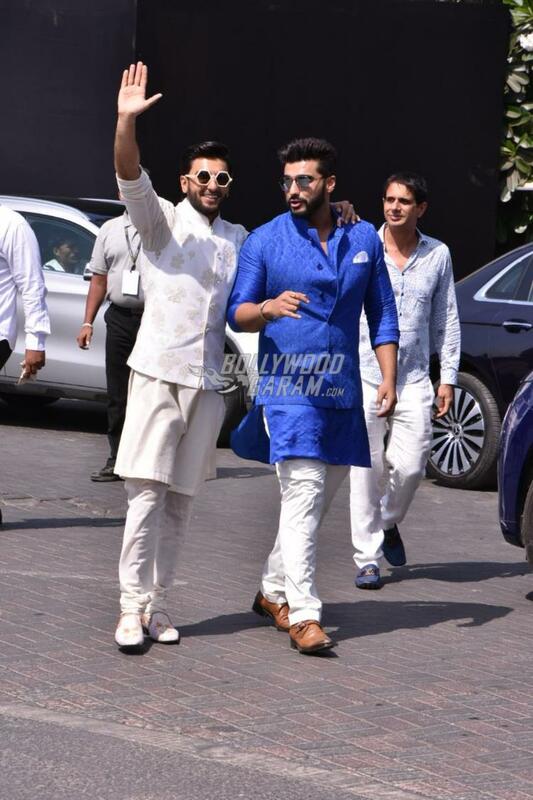 Ranveer Singh was snapped in an up-beat mood and was seen posing with his Gunday co-star Arjun Kapoor. 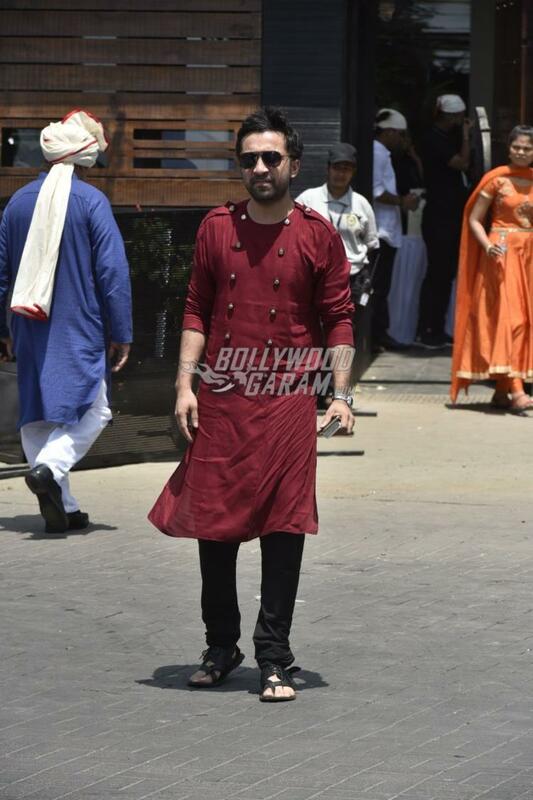 Singh looked dapper in an ivory kurta and pyjama with a matching printed jacket with a pair of trendy jacket. 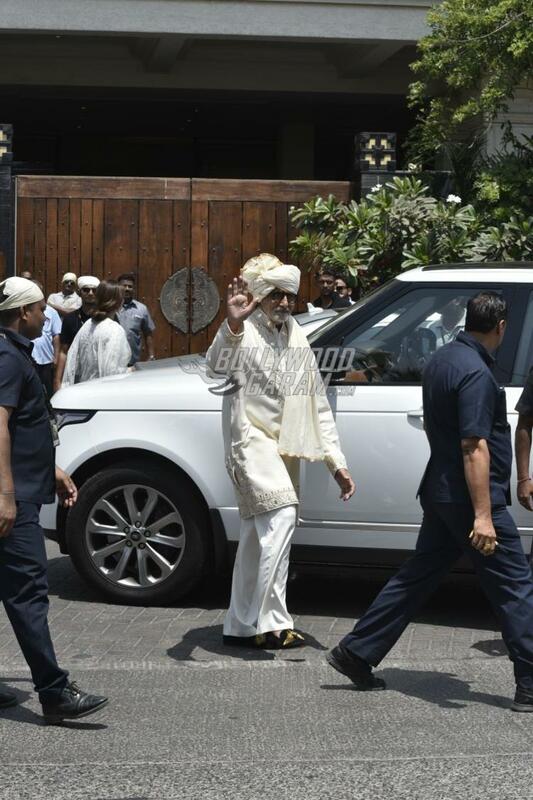 Amitabh Bachchan was seen in an ivory color kurta, white pyjama and a turban. 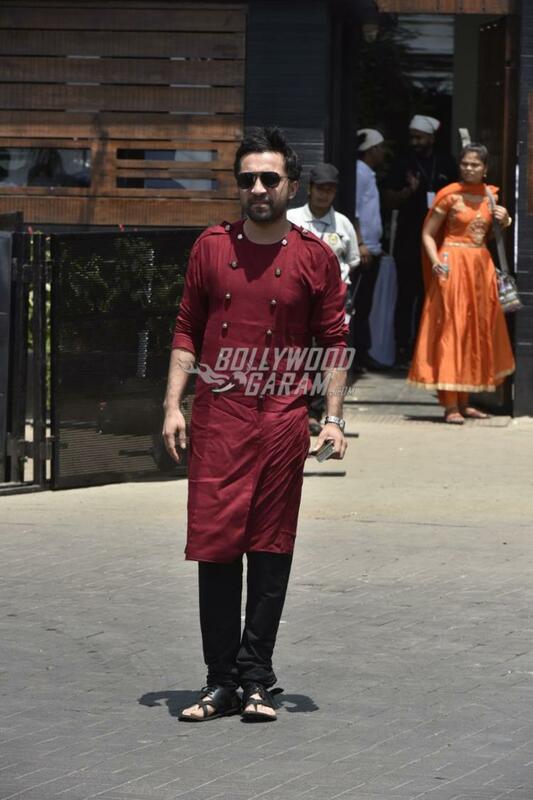 Shraddha Kapoor’s sister was snapped posing for the paparazzi and looked great in a maroon kurta and black pyjamas. 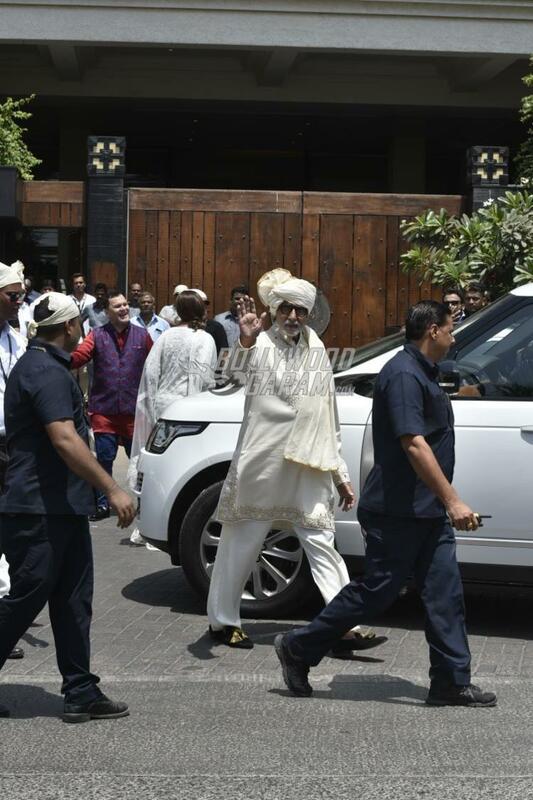 Producer Boney Kapoor was also seen posing with daughter Anshula Kapoor outside the wedding venue of Sonam and Anand. 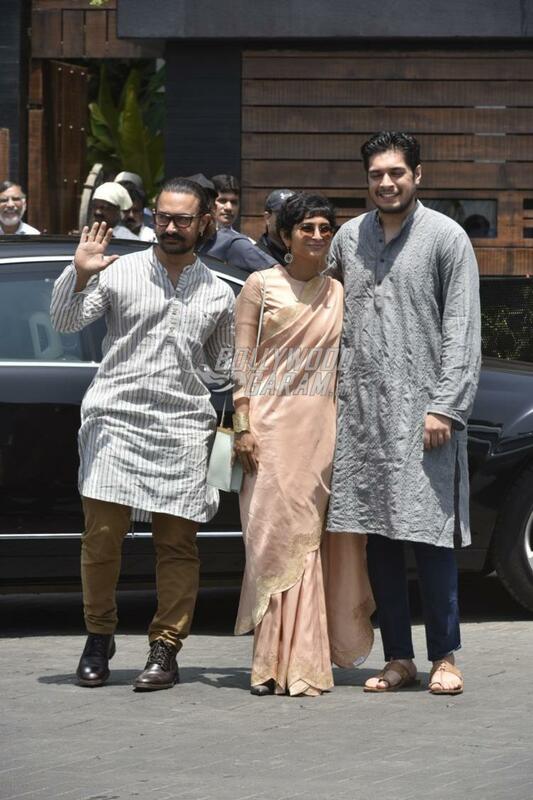 Aamir on the other hand was seen in a simple stripped kurta and brown pants and Kiran opted for a plain sari.